If you like the idea of gifts that keeps on giving to the cause of compassion toward animals, you might enjoy choosing your holiday gifts (and beyond) that will benefit to Animal Place. This non-profit operates two sanctuaries in California that have rescued and sheltered hundreds of animals. Unisex, non-toxic, and animal-friendly Bare Bones Body Care offers a stylish line of skincare, a vegan deodorant that really lasts, and even tattoo balm. 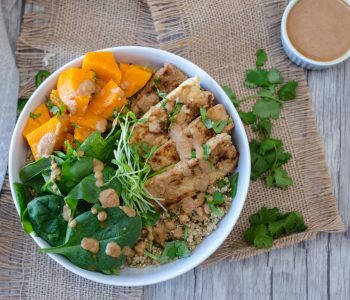 Founder Monica Schrock uses ingredients made from scratch, and from organic and local suppliers, and all products proudly feature Animal Place’s logo to help raise awareness. Prices start around $3 up to $35 for gift sets. Nearly every year, vegan jewelry designer Christy Robinson collaborates with Animal Place to create a new covet-able piece. 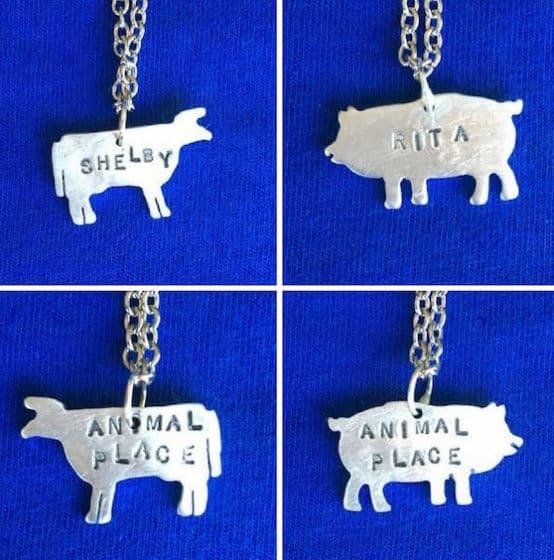 This year, Christy has created two new silvertone aluminum necklaces, one honoring Rita the pig, who jumped from a truck to save herself and nine unborn piglets, the other Shelby the cow, who was saved from the dairy industry. $20 each at Animal Place’s online store (includes shipping). 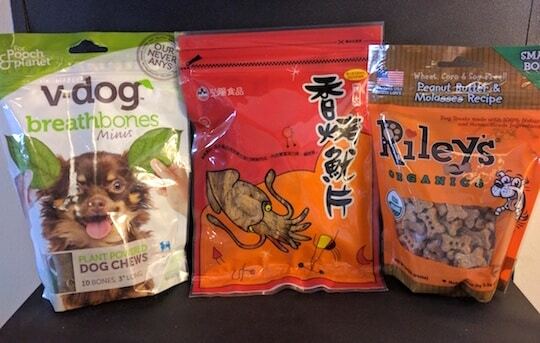 A selection of the best-selling and healthiest treats for the discerning vegan dog, or any dog, is available online and at Animal Place’s Vegan Republic, the Bay Area’s only all-vegan store. All store profits support animals at the sanctuary. 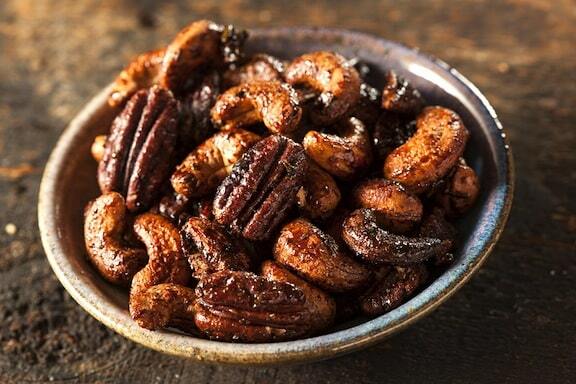 $25, in store or online (includes shipping). Because Animal Place has rescued more than 20,000 hens from egg farms in the last few years, helping people learn to live without eggs is a major focus. 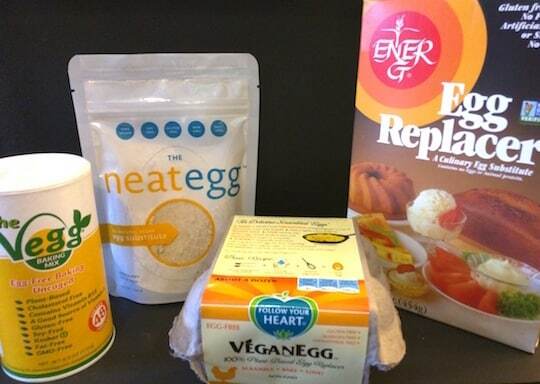 This collection of four popular egg alternatives includes the famous VeganEgg from Follow Your Heart, the Vegg, the Neat Egg, and classic Ener-G egg replacer for baking. $45, in store or online (includes shipping). Also available from Animal Place’s Vegan Republic. 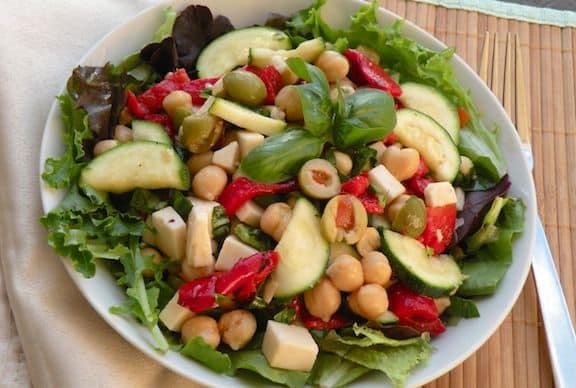 Freja Nelson, founder and president of Freja’s Foods, is a huge supporter of Animal Place and says “Animal Place works to put compassion ahead of habits, culture or appetite. 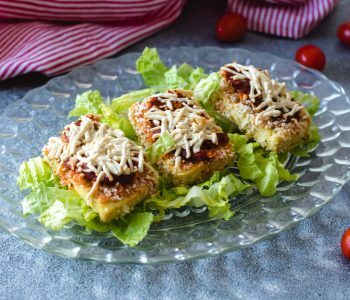 They lead with love.” All Freja’s Foods products feature the Animal Place logo and should have a place at holiday tables. Visit online for store locations. 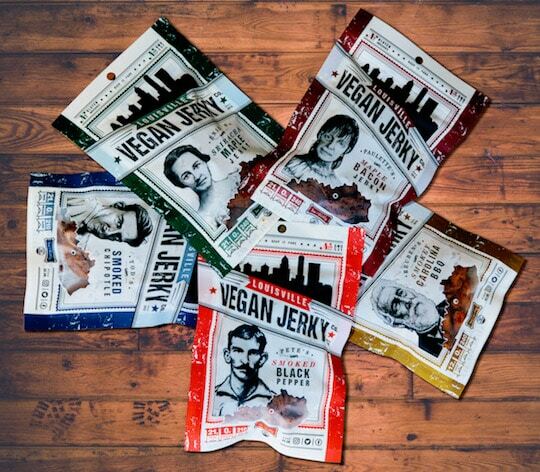 Louisville Vegan Jerky not only works with Animal Place to spread awareness, but in January, the company will contribute a dollar from every box of their Jerky of the Month Club to the sanctuary. Your recipient gets three bags of jerky every month, and the animals get a dollar. Available in one, three, or six-month subscriptions starting at $19.99. 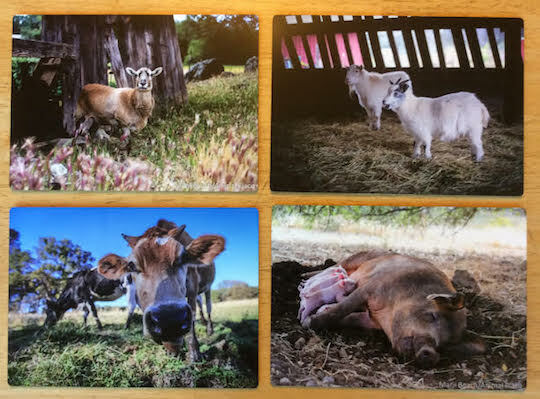 Gorgeous 4 x 6 metal prints featuring some of the sanctuary’s charismatic residents are perfect for hanging on the kitchen or dining room wall, so your recipient can be reminded of why they need to make ethical food choices. Four different prints available, $35 plus $3.50 shipping. 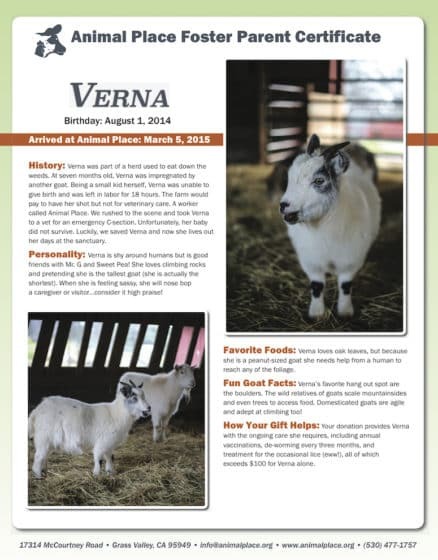 Those who don’t want to collect more stuff will appreciate being a foster parent of an animal like Verna, a pygmy goat who was left alone in painful labor for more than 18 hours. Her “owner” would not pay for veterinary care to deliver her baby, but would pay for her to be shot. Fortunately Animal Place was able to save her. Or choose Carmen Sheep, Mr. G and Jellybean, Panda Cow, Rita Pig, Shelby Cow, or Tiny Comb Chicken. Your recipient gets a certificate, wallet-sized card, color photo, a subscription to Animal Place Magazine. $23; larger foster parent gift packs are also available.